It’s a New Day in Louisiana. John Bel Edwards Flips the Script. A year ago, U.S. Sen. David Vitter was the most popular elected official in the State of Louisiana. Today, his stunning and meteoric fall from grace is largely attributable to his own failings. 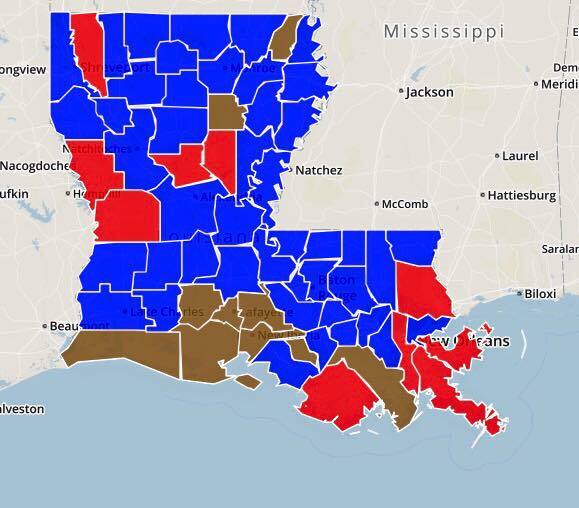 This is the new Louisiana. 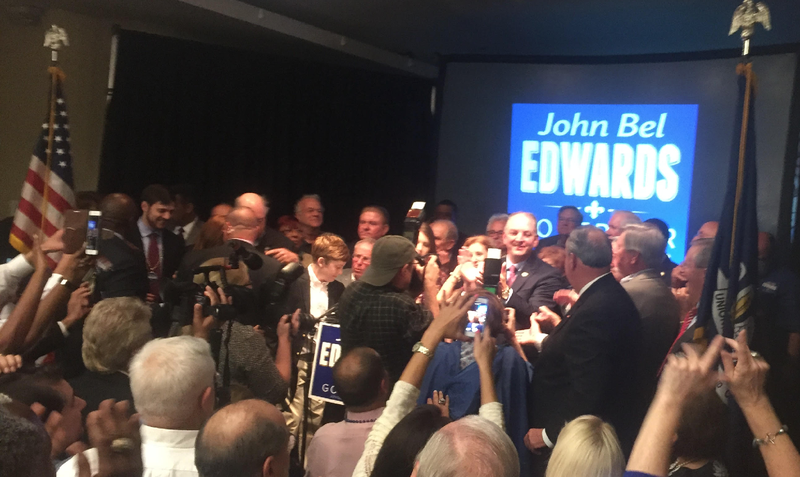 Soon-to-be Governor-Elect Jon Bel Edwards is a fine, decent man of honor. Edwards (with huge name recognition and “brand awareness”) was so bitter about his showing (and so certain of impending defeat) that he withdrew, leaving Roemer as the elected governor of Louisiana. Vitter (with huge name recognition and “brand awareness”) . . . . I agree that David Vitter has caused some of his own problems, but it didn’t hurt that his main opponent was John Bel Edwards. Comparing those two men is like comparing good to evil, and there’s nothing good about Vitter. It’s time for a change. Pray to God we have a God sent man in there. What’s the new magic number for a Democrat? I remember in ’86 when I was working for Breaux it was forty-something percent. N.J. Sabiston would remember if you run her down and ask. But back then it was one Republican and Breaux and a small field of Democrats. It’s a Brave New World, but not the one we would all wish for. [Lapes into a drunken celebratory “Every Man A King”]. Still 11% is a steep hill to climb.